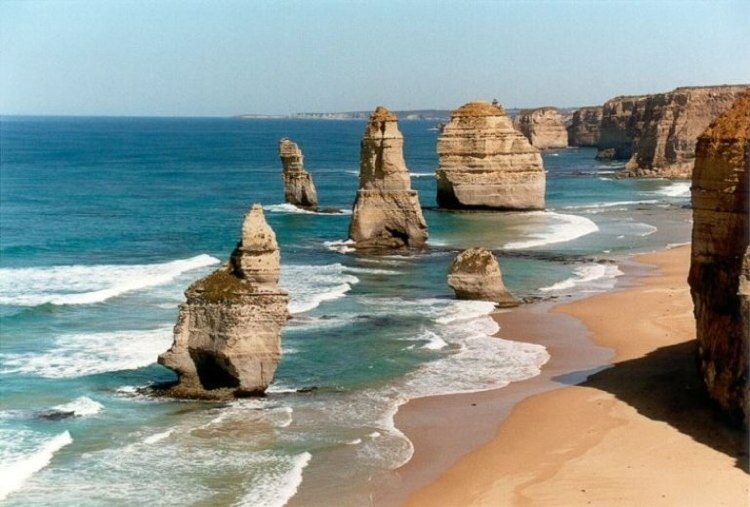 Scattered along the scenic Great Ocean Road in Australia, the 12 Apostles formation is the result of the Southern Ocean’s harsh weather conditions eroding the existing landscape. Beginning 10 to 20 million years ago, the constant erosion of the limestone cliffs caused caves to form within them. These caves eventually became arches and ultimately collapsed into the isolated stacks of rock seen today.